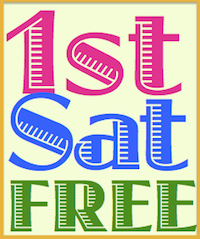 One of the member authors who will be with us at our upcoming Autumn Book Launch is Linda Foster Arden. 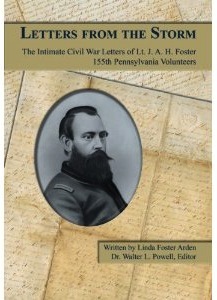 Arden recently published Letters from the Storm: The Intimate Civil War Letters of Lt. J.A.H. Foster, 155th Pennsylvania Volunteers about her great-great grandparents, Mary Jane Strain and John Alexander Hastings Foster. Married in 1858, they lived in Rural Valley, Armstrong County, Pennsylvania. The book features one hundred transcribed letters written from 1862 through 1865 by Lieutenant Foster, mostly to his wife Mary Jane, set against the background of all the major Civil War battles involving the Army of the Potomac, 5th Corp.
Skillfully interspersed with Linda Arden's commentary about the events and situations of the era, these letters are a time capsule of the mid-nineteenth century. In many respects, Foster's letters mirror the comments made by soldiers on both sides: their efforts to seek comfort with news from home, their litany of complaints about the rigors of camp and battle, and their descriptions of men and events on the front lines. Linda Foster Arden holds a B.S. and M.S. in mathematics from Eastern Michigan University and California State University-Hayward. For thirty-five years, Ms. Arden worked for major corporations as an information technology consultant, responsible for project management and acquisition negotiations. She lives with her husband, Ted Arden, a retired American history teacher, who helped her conceive the idea for this book. While doing much of the research and writing, they lived for two summers on a 150-year-old farm in Western Pennsylvania. Currently she lives in Clayton, California, at the foot of Mt. Diablo, where she enjoys reading, camping, working on family history and genealogy, and being a grandmother to Samantha. 2010 by Linda Foster Arden; Edited by Dr. Walter L. Powell.